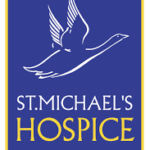 St. Michael's Hospice receives less than 20% funding from the North Hampshire Clinical Commissioning Group. The remaining 3.1m comes from the kind donations made by people like you. Please continue to show your support so that we can continue to provide the best professional care for our patients and families.